The Cathedral Square, so breathtaking. Cathedrale Notre Dame De Strasbourg's stunning architecture, which stands on the exact site of a Roman temple. The first version of the cathedral was built in 1015, and later renovated in the 12th century and subsequent years after that other items where added to the cathedral. For the next four centuries that followed, the cathedral was known as the tallest one in modern world, due to the height of its tower, as well as being considered one of the most beautiful cathedrals in Europe to date. 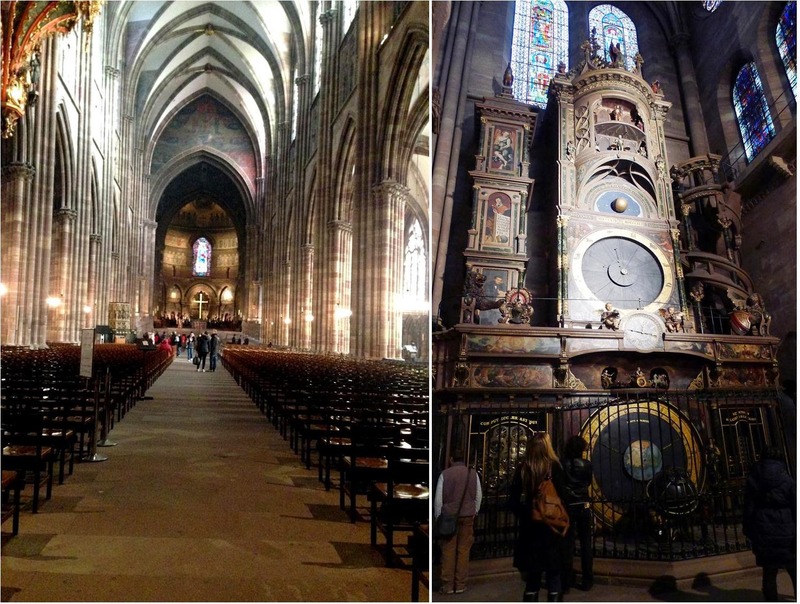 (Right photo) The famous Astrological Clock, was replaced three times, the last being built in the 19th Century. According to legend the local authorities ordered that the constructor of the clock should be blinded so that he could never build something like it ever again. Cathedrale Notre Dame De Strasbourg stands behind, viewed via Rue Merciere. 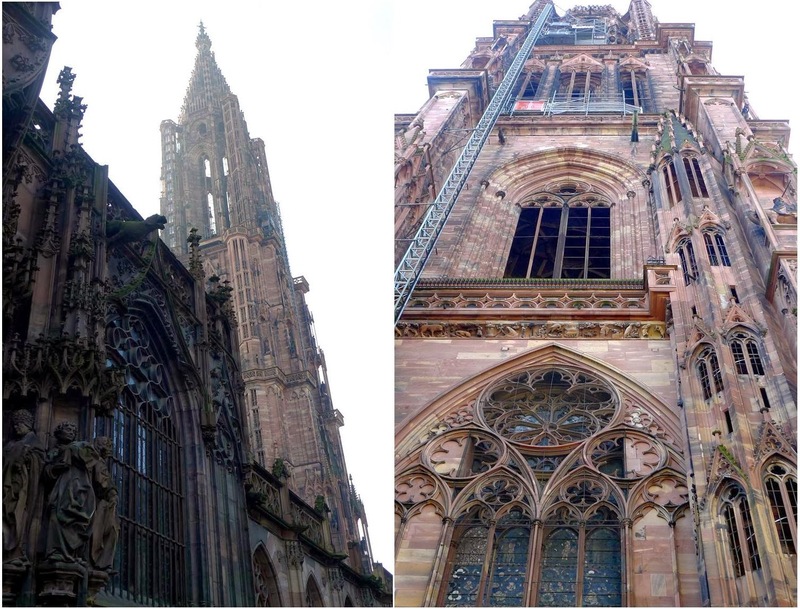 Today I bring you the rest of our photos of our day trip to Strasbourg, France. It was a very relaxing trip, because we failed to remember that on Sundays most of Europe's shops are closed (something to always keep in mind for those of you who travel); therefore we couldn't really do much. Regardless of that small set back we managed to enjoy the romantic scenery that Strasbourg so eloquently provides. A charming city that seemed to have been created for lovers, a city that centuries after centuries must have elicited writers and philosophers, it is hard to imagine otherwise. I could see myself spending countless hours gazing out my window or seating around on a bench on the Ill River (a western tributary of the Rhine), fantasizing of a romance that never was, or of lovers who were taken from each other, you know the likes of Romeo and Juliet. Yes I am an eternal romanticist, who lives for tragic love stories, what is it about someone that can find so much beauty in tragic love stories? I always ask myself that question. Moving on (that was a side note), the city can easily be seen in two days, a perfect long weekend trip for those living in the EU or those traveling through. 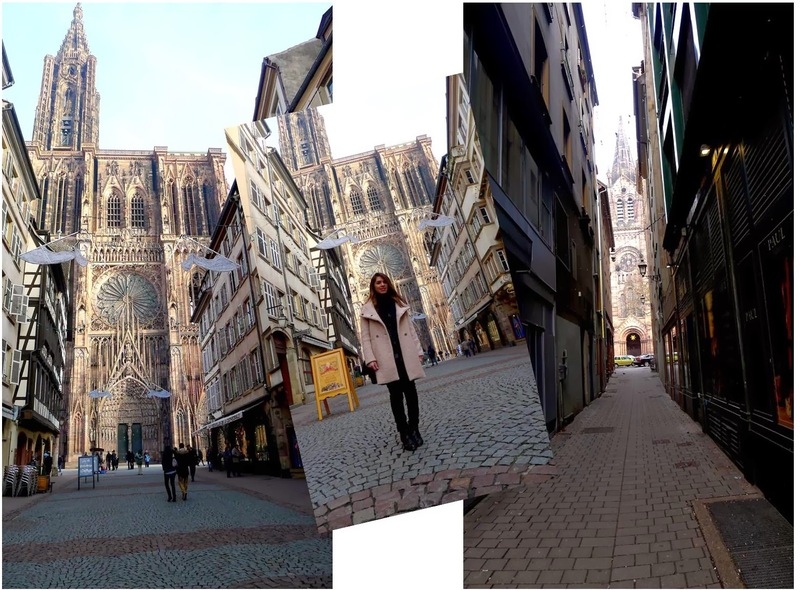 We definitely made a stop at the Cathedrale Notre Dame De Strasbourg, a beauty that cannot be missed. There are several museums, shops, cafes, boat tours and so much more that can occupy your time while you are there. I will go back some other time to really get to see much more than we did, a lovely town in deed it is.